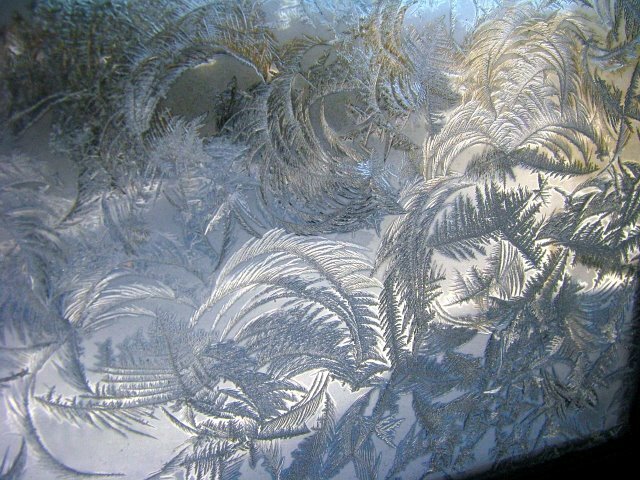 Frost on the window. Mother nature's pretty artistic isn't she? I took several similar pics like this. My cousin Mike says I can take a picture of a weed he would have just stepped on and make it look like something beautiful. You just have to look. There's beauty everywhere if you look hard enough.